Tony Milo was named Executive Director of the Colorado Contractors Association in April 2005. He is responsible for the day to day management of the Association and particularly enjoys working on legislation to advance and protect Colorado’s infrastructure industry. on, Michigan Manufacturers Association and Michigan Asphalt Paving Association. Tony earned a Bachelor of Arts degree in International Relations from James Madison College of Michigan State University and a Master of Management degree from Aquinas College in Grand Rapids, Michigan. Tony enjoys playing golf, a great glass of wine, traveling, hiking and is a diehard Michigan State Spartans fan. Of all his accomplishments, Tony is most proud of his two wonderful kids, Alex and Tommy. Randy Drennen joined CCA in March of 2018. 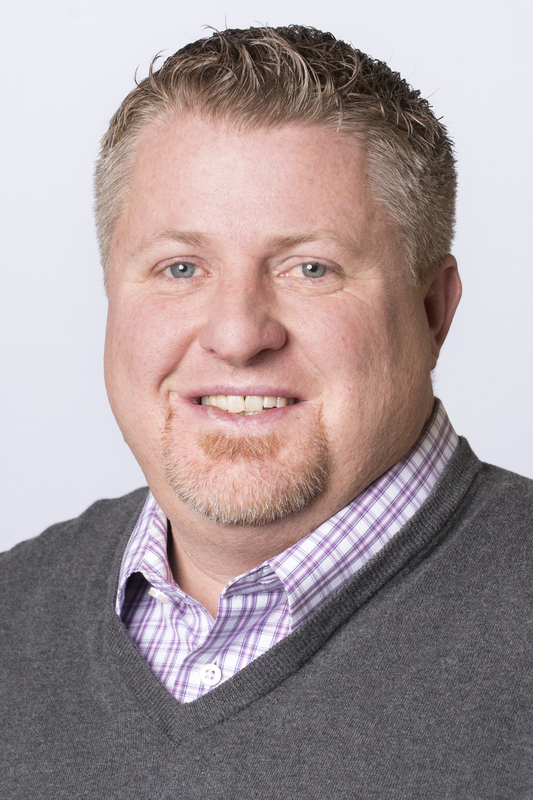 As Director of Contractor Liaison Services, Randy is largely responsible for member recruitment and onboarding, assisting with agency/owner/subcontractor related issues, and some of CCA’s workforce development initiatives (including university and K-12 outreach efforts). Randy will also serve as point of contact for the Construction Workforce Foundation of Colorado Scholarship Fund (CWFC). Prior to joining CCA, Randy spent 15 years working for a national heavy highway/civil contractor headquartered here in Colorado. In addition, Randy served on the Thornton City Council and as Chairman for the E-470 Public Highway Authority Board of Directors. Randy will be advocating for CCA members and the infrastructure industry on a variety of fronts. Randy is a product of Colorado State University and has called the Colorado front range home for over 40 years. Outside of work, Randy enjoys travel, playing guitar, and spending time at the lake. He and his wife spend time camping, boating, and enthusiastically supporting their five kids who play basketball, volleyball, soccer, and football. Jim Moody has been with CCA since October 2005. As the Director of Owner-Agency Relations, Jim serves as a liaison between CCA’s members and their infrastructure owner clients, including CDOT, city and county public works departments, airports, water and sewer districts, transit authorities, and storm water authorities. In this capacity, Jim advocates for solutions to industry-wide and individual member problems, while also creating networking opportunities with officials from across the state. Jim’s impressive educational history includes a B.A. from the University of Illinois, an M.A. from Washington University, and a J.D. from Drake University. When he’s not at working hard for CCA, Jim enjoys cycling and traveling to Michigan to visit family and play on the Lake Michigan beach. Jim’s beautiful family consists of wife Laura, son Parker, daughter Lyla and dog Athena. Jordan joined us in December of 2014. Her duties include event planning, new member acquisition, marketing and PR. She is also the staff point person for the Associate Council, Emerging Leaders Council and the Construction Workforce Foundation of Colorado. Jordan graduated from the University of Colorado at Colorado Springs with a double BA in Political Science and Communications. She served as a communications specialist for several state and local elected officials before taking a year off to travel abroad in Australia and New Zealand. Jordan is a true Colorado native having grown up in the beautiful mountain town of Granby, Colorado. She loves traveling, cooking, scuba diving, Broncos football and will never miss a chance to see a show at Red Rocks. Jordan lives in Aurora with her partner Josh and Mal-Shi puppy named Marvin. Click here to contact Jordan. Moses Alvarez joined the CCA at the end of April 2017. As the CCA’s Training Manager he is the manager and primary instructor for Association’s Apprenticeship Program and manages the Association’s OJT Highway Training Program. Moses believes one of the fundamental keys for a successful construction industry is the passing of knowledge and skills to create new skilled craft workers. Prior to joining the CCA, Moses was an instructor for the Wyoming Contractors Association’s Regional Training Center for 6 years. His skills acquired working in southwest Wyoming for a general contractor suited him well to instruct commercial driving, heavy equipment operations, carpentry, and concrete finishing. He hopes to bring those skills to CCA’s membership and further their goals to help the continued success and growth of Colorado’s infrastructure. Although Moses was raised in Wyoming, he was born in Denver and has a lot of family ties to the metro-area. Moses enjoys hunting, fishing, camping and spending time with his family. His wife and two young sons look forward to all the great recreation activities Colorado has to offer. Click here to contact Moses. Kelly joined the CCA team 28 years ago after moving back to Denver from Wyoming. Kelly manages all the primary office administrative responsibilities including support to the four CCA Directors, database maintenance and management, administering event registration, certifying Traffic Control Supervisors, event planning, assisting with the Apprenticeship Program and publication of CCA's Friday Facts. She also played a key role in helping to develop and maintain the new website. In her free time, Kelly is a dedicated sports fan and loves watching the Denver Broncos, Colorado Avalanche and Colorado Rockies. She also enjoys traveling, concerts, trivia and is a huge movie buff. She is happiest spending time with her nieces and nephews. Kelly lives in Aurora with her husband, John and her English Bulldogs Beau and Remi.